Another order from Drinkstore.ie has made a real dent in my wallet, but will also help me make a further dent into drinking my way through "1001 Beers". Photo of some things to come below just to tease! So, I've been saving the next beer for a wee while, and thought it would be a good way to mark reaching 210 beers! Description: This thing is so dark I had to turn lights on in each room I moved into... Good brown head that lasted well considering the ABV. Wow, big aroma - burnt malt, booze, wood, something slightly lactic and sour, sugar, smoke. Taste hits in a big way too, more of that burnt malt, there's a sugary sweetness to along with (very) bitter chocolate and coffee. Wood, smoke, and may be a hint of vanilla, and lots (and lots) of booze. Very rich, oily, and lasting. Thoughts: This is not an easily drunk beer. There's a lot going on and the booze level is through the roof. I did enjoy it but I'd guess it need more ageing - a good couple of years at that - to mellow it out and take the edges off. Worth trying but I preferred the Bourbon County Stout. Description: Dark amber going on light brown, white head. On the aroma I got some caramel and a hint of grapefruit. Flavour starts biscuity, then some caramel malt sweetness, and finally some bittering hops kick in. May be a little spice in there too. Quite light, coated my mouth a little but not what I'd call "sticky"
Thoughts: Not a bad drop this, might be slightly better for a autumn night but was a decent rye ale. Description: Golden in colour with a small off-white head. Lots of floral hops and sugar on the nose, a little piney aroma in there too. This came through very sweet, some floral notes and some citrus but its not really getting through strongly. Sticky mouth feel. Description: Poured a decent thick dark brown (almost black), with a beige head. Some roasted malt on the aroma, but also some light coffee and chocolate, and a definite brown sugar sweetness. The treacle remains in the flavour giving it some richness, the roasted malt and coffee make a come back too, I also got some dark fruit. Quite light bodied. Thoughts: I waited for a second tasting to give this a review. 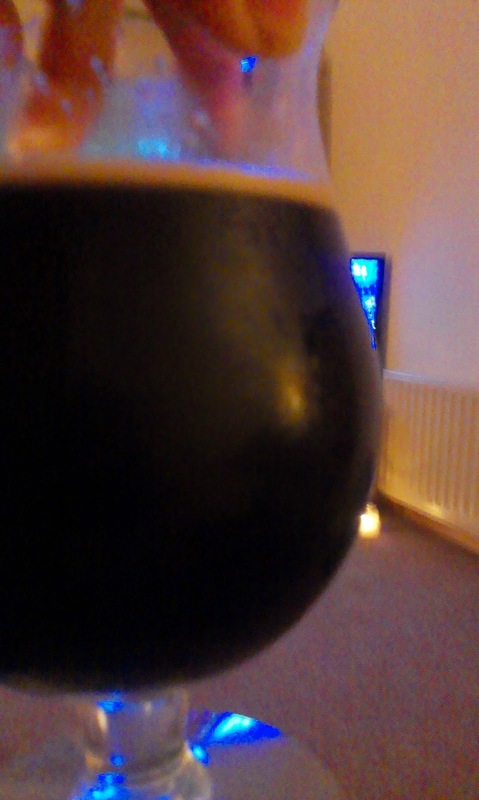 The flavour holds up well for me, a solid oatmeal stout with a nice hint of brown sugary moreishness. Its not huge flavour wise but very drinkable. I think it could take a bit more fullness in body to really round it out. Right I'm off to line up more of the beers in the picture, but I'll leave you with a final reminder for Beerclubbelfast next Thursday (29th @ 7pm) with the guys from marble coming over it should be a great event... I'm even planning to make it down - hopefully see you there. Thanks for the shout-out. 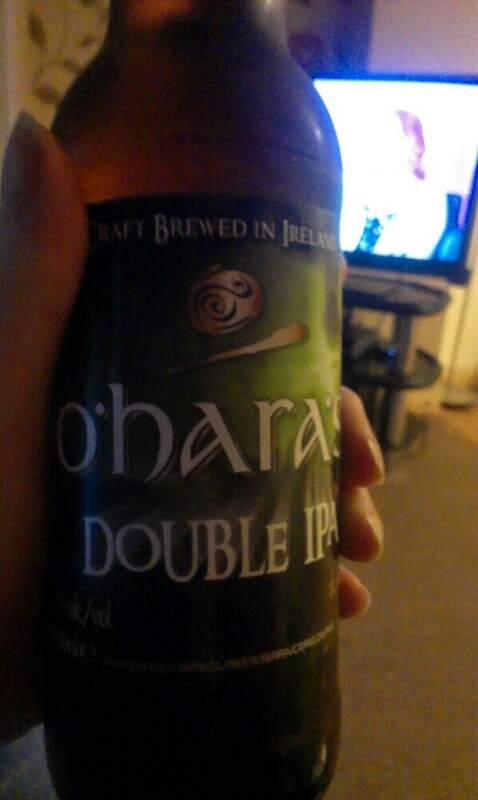 I'm not much of a fan of bottled O'Hara's DIPA either. It's much better -- cleaner -- on keg. No problem - really enjoy your work. 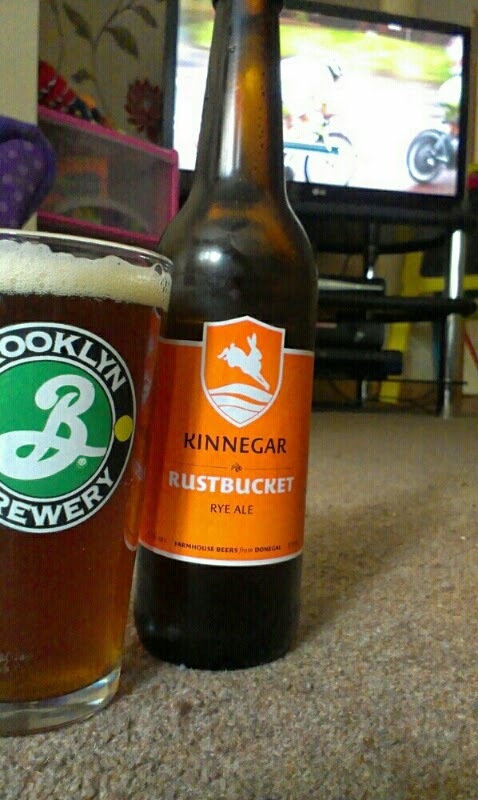 The bottle/keg thin makes sense - never seen it up here on keg, a trip down to try our the beers in Dublin is required! It's rare enough on keg in Dublin. You need to go to the brewery tap in Kilkenny.